A couple of days ago, Turno Cu4tro Podcast published the awards their listeners choose from the best Spanish products related to the hobby. 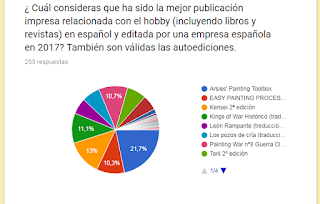 Arsies' Painting Toolbox was awarded in the "best publication" category. ¡Thanks to all who voted!